Accessories can really make an outfit stand out, and men's bracelets are definitely popular in men's fashion these days. 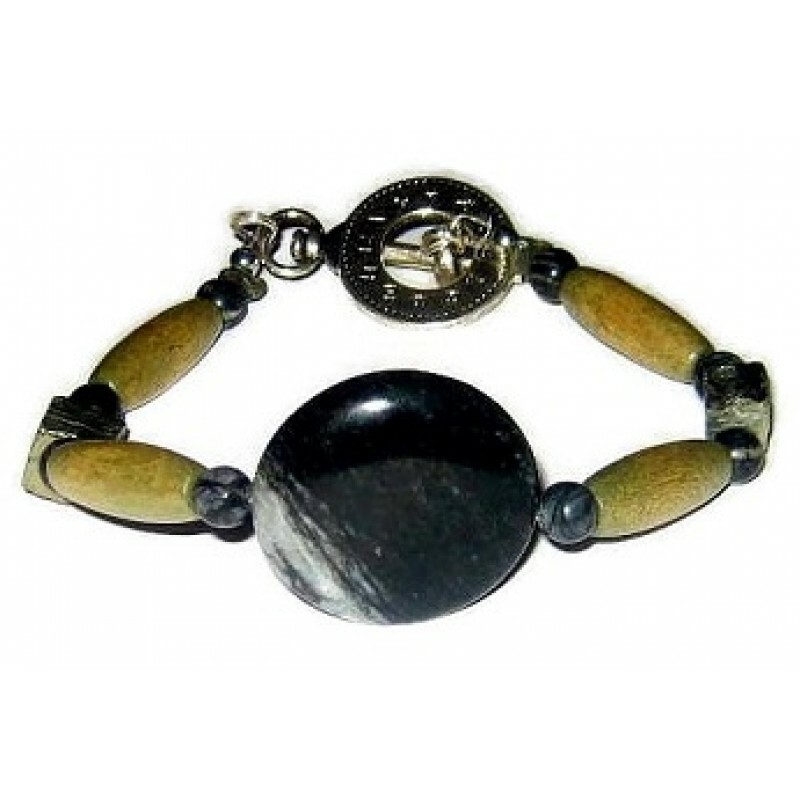 This men's bracelet is made up of a combination of wood beads and semi-precious stones that complement one another. The semi-precious stones include jasper and pyrite. This bracelet measures 8-1/2 inches with its silvertone clock toggle clasp.